Curtis Sittenfeld, author of American Wife and Prep, returns with a mesmerizing novel of family and identity, loyalty and deception, and the delicate line between truth and belief. From an early age, Kate and her identical twin sister, Violet, knew that they were unlike everyone else. Kate and Vi were born with peculiar “senses”—innate psychic abilities concerning future events and other people’s secrets. Though Vi embraced her visions, Kate did her best to hide them. Now, years later, their different paths have led them both back to their hometown of St. Louis. Vi has pursued an eccentric career as a psychic medium, while Kate, a devoted wife and mother, has settled down in the suburbs to raise her two young children. But when a minor earthquake hits in the middle of the night, the normal life Kate has always wished for begins to shift. After Vi goes on television to share a premonition that another, more devastating earthquake will soon hit the St. Louis area, Kate is mortified. Equally troubling, however, is her fear that Vi may be right. As the date of the predicted earthquake quickly approaches, Kate is forced to reconcile her fraught relationship with her sister and to face truths about herself she’s long tried to deny. Funny, haunting, and thought-provoking, Sisterland is a beautifully written novel of the obligation we have toward others, and the responsibility we take for ourselves. 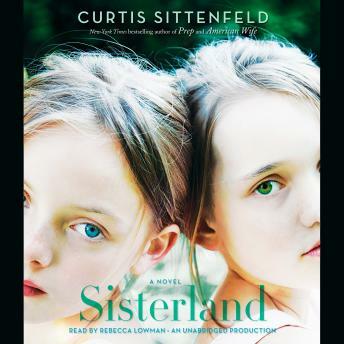 With her deep empathy, keen wisdom, and unerring talent for finding the extraordinary moments in our everyday lives, Curtis Sittenfeld is one of the most exceptional voices in literary fiction today. I loved this book. Got me re-addicted to audiobooks, great listen. The story kept my interest and being from the midwest (like the characters in the book), I thought the characters were developed well. The narration was excellent. The narrator's voice and tone enabled me to focus on the story as opposed to the narrator.